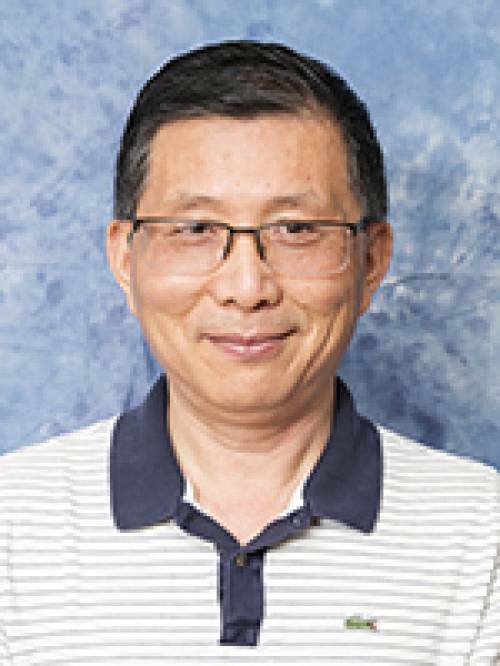 Improvement of Agrobacterium-mediated transformation in major crop such as soybean (Glycine max), maize (Zea mays) inbred lines and sorghum (Sorghum bicolor) is his team’s continuous endeavor. This research area includes the improvement of T-DNA integration efficiency and quality, which will make production of transgenic lines more cost-effective and further satisfy the need of genome-wide functional analysis of genes in these crop species. Efficient gene regulation in complex genome background, such as soybean, represents a new challenge in transgene technology. Small RNA-mediated silencing technology has been shown to be a powerful tool to accomplish this goal. Zhang’s current focus is on design and implement of efficient RNAi in soybean. His lab is now exploring several strategies in improving the efficacy of RNAi in this crop. The experience and lessons they learn from down-regulation of several important soybean genes should be applicable for regulation of other genes in soybean. In addition, transgenic soybean lines developed in these studies can be used as breeding materials for soybean trait improvement and for plant biology study. Coordinated transgene expression represents a unique approach to enhance both plant biology study and crop genetic improvement. This approach overcomes the limitations of conventional means to stack genes for studying complex pathways or improving crop traits. Precision genome modification as an emerging transgene technology opens up a new opportunity to plant genetic improvement and biology study. This technology will be the next wave of transgenic approach and revolutionize conventional breeding. Current focus in the lab is CRISPR/Cas9 technology.